It was love at first sniff… It’s really unusual for me. And with my second try, I fell in love with M even deeper. Even my husband who is usually nonchalant about perfume caught a whiff of M and said “This one is nice. What is it?” This comes close to a miracle in my household! But, BUT!! 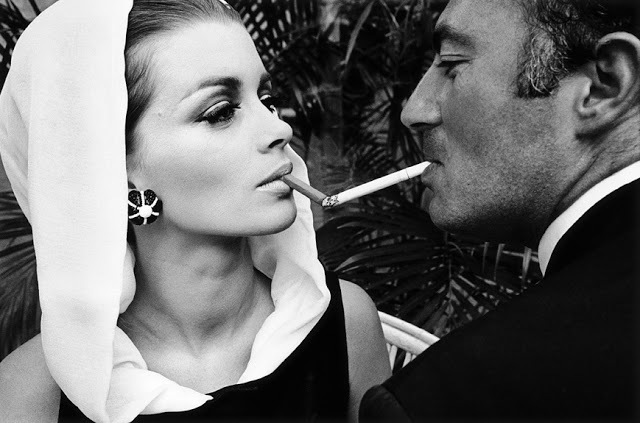 To me, the image I get from M is not masculine, not James Bond, but a strong woman who knows her intelligence, sensuality and the power of her own femininity. A woman, who doesn’t bend to the opinions of the others, stands firm, believes in herself, and yet has the flexibility to play along with the different roles if it suits her. 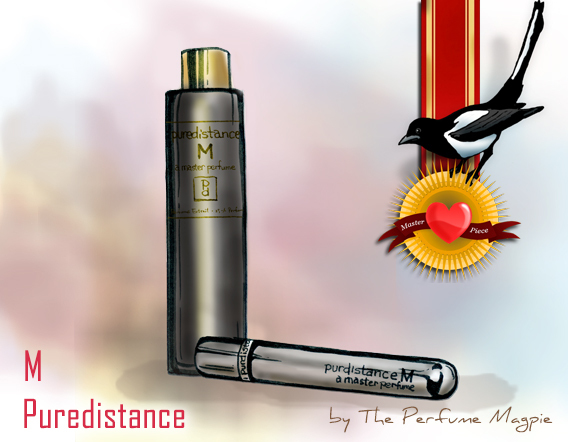 Puredistance M opens on my skin with a swirl of citrus and oriental spice. Within a few minutes, rich rose, jasmine and cinnamon emerge and create a velvety air. At this point, I was so sure that I could detect some cardamom and cumin but neither of them were listed on their official notes. After a while, among the pleasant, somewhat enigmatic oriental ambience, slightly smoky leather, patchouli and vanilla start to join in the dance. M is a complex and sophisticated perfume. From the beginning till the end, it announces its presence in a captivating way but never shouts or screams for the attention. The notes: Bergamot, Lemon, Rose, Jasmine, Cinnamon, Patchouli, Mosses, Cistus, Vetiver, Patchouli, Vanilla, Leather and Musk. M is made from a high concentration of perfume oil (25%), Perfume extrait, and it was made in London by the Master of Perfume Roja Dove. Thank you Undina! I’m usually a floral girl but more I wear, more I like this one. The weird thing is that my hubby liked the smell this on me but he didn’t like it on himself! Thanks Paula 🙂 We all smell it different way! I haven’t tried any of the PureDistance frags yet. I’m scared a lemming will be born and I’ll have to mortgage my home. We did see the home of PureDistance in Vienna recently but didn’t make an appointment and meet therm. I’m surprised you haven’t tried yet! But I know about the lemming… I try to keep mine in a titanium cage. When I told my hubby that I liked it, he looked kinda pale and asked me how much I liked on a scale of 1 to 10… In his mind, 10 means bankruptcy. I’m with your husband. 10 is definitely bankruptcy. Ha Ha Ha. They’re very lovely. 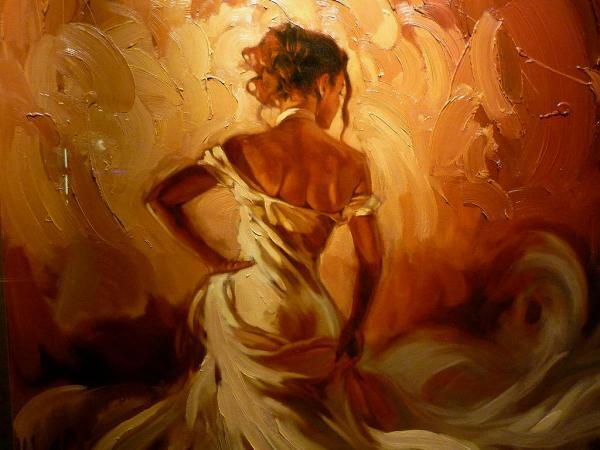 I find I or OPARDU to be to floral and feminine for me.